BEFORE AND AFTER: Novalash Eyelash Extensions by Fotini Filini. I’m sad to say it, but it’s true: I’m a picker. I FOR REAL cannot leave anything alone (AKA, I’ve never had to actually soak off a gel manicure, pick pick pick). Over the years there have been offers for me to test-drive lash extensions and, each and every time, I inevitably pick them off. I just can’t stop messing with them, especially as they start to grow out. Recently, through an opportunity with NovaLash eyelash extensions, my colleague Mary Kaleta had the most beautiful set of lashes applied by extensionist Fotini Filini, who owns a lash studio in Deerfield, Illinois. The results were transformational and so gorgeous I had to get some of my own. Fotini sat down with me and I was as honest as possible about my inability to keep my hands still. Long conference call? Peel off a no-chip. TV time? Tweeze my brows. Red light? Hunt for split ends. She assured me that the flexibility and durability of the NovaLash adhesive is unmatched, the lashes would feel undetectable (that’s the part I was nervous about, I didn’t want to feel aware of my lashes). She also assured me that if I did start feeling uncomfortable or if they were making me crazy, she would be able to remove them with ease. Fotini did the Novalash American Volume service on me using .05, 8, 10 and 12mm using NovaLash High Speed Platinum Bond adhesive. BONUS: Because the U.S.-made adhesive is waterproof and oil-proof, clients don’t need to be so aware of the ingredients in their makeup or makeup remover. And it’s designed to be non-irritating, so all my concerns about my eyes tearing up disappeared. After my full consultation and lash assessment, we took lots of “before” photos. I didn’t realize how fine and blonde my natural lashes are until I saw the photos. The service itself was extremely comfortable. 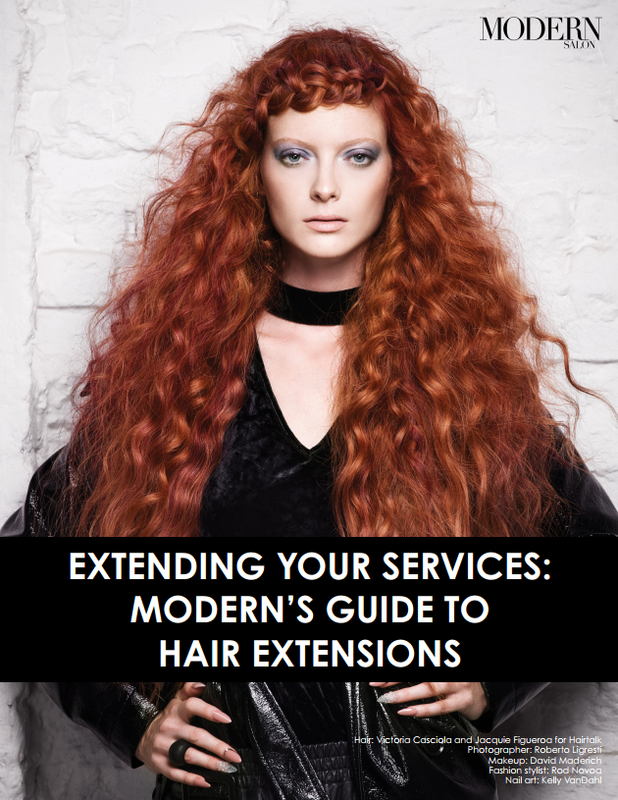 While laying on a heated table with cozy blankets and a leg rest, Fotini played music and talked to me about the service, why she loves being an extensionist, and the incredible opportunities lashing can bring to a professionals’ income. Fotini books out about two hours for a client’s first appointment. Because lash extensions shed with the natural lash, clients will need a fill (just like with a set of nails) about 2-3 weeks after their appointment. For fill appointments, Fotini books out about 90 minutes. She’s on the higher-end of pricing because she not only works in an area that can support those prices, she also has a (VERY) full book. She charges $350 for a full set, and $150 for a fill. Think about the numbers that represents if a client becomes hooked on lash extensions. If she only came in once every three weeks: $2,550 a year she’ll spend on lashes with you. Multiply that by 20 years, that’s $51,000… for ONE lifetime client! And that doesn’t include gratuity, upselling or retail opportunities (NovaLash sells makeup, aftercare, etc). WATCH MY TRANSFORMATION: Video doesn't lie! This is NO filter, no editing, just total lash magic! And getting hooked is EASY. I love how my lashes look and feel. It is extremely easy to care for them—just a few sweeps of a spoolie!—and it makes getting ready each morning significantly easier! I haven’t put on a drop of mascara or eyeliner on my top lashes and I still look totally done up—my lash line has the illusion of a perfectly lined finish! I can’t say enough positive things about my experience with NovaLash and Fotini. Make sure to check her out on Instagram, and follow NovaLash for opportunities in how you can become a certified lash extensionist. WATCH: I documented my before and after experience on Instagram Stories--check it out for the full details! ALSO: Below is a timelapse of Fotini working on a client--not me!--but you can see the master at work!